Clock is ticking. Friendship is Madness is only 4 days away. 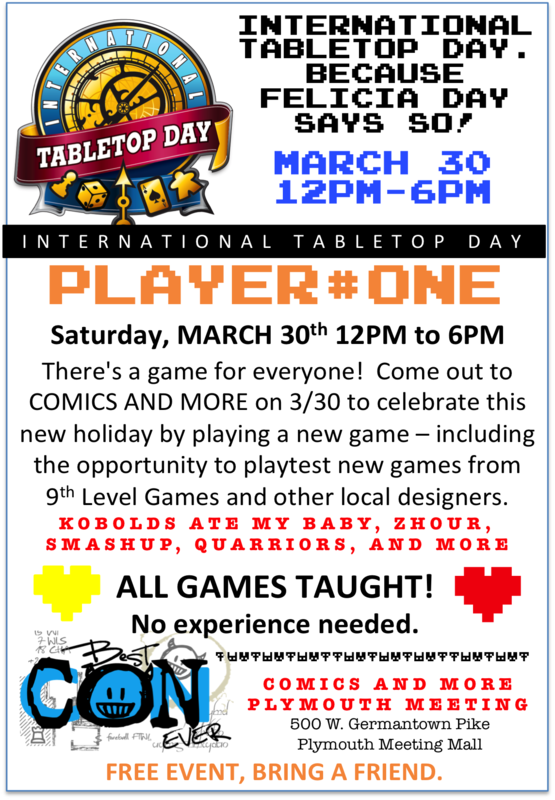 Details to come once we get the go ahead form the amazing peeps at Geek & Sundry. 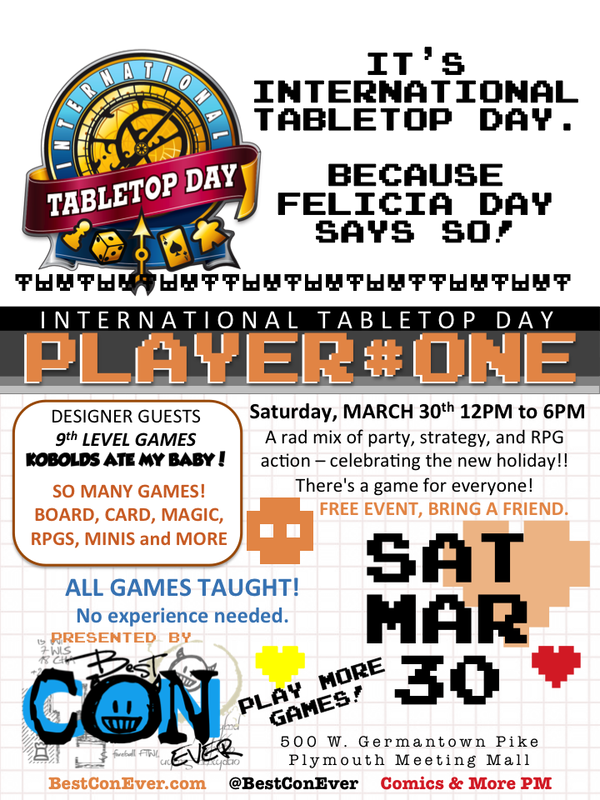 IT'S INTERNATIONAL TABLETOP DAY – BECAUSE FELICA DAY SAYS SO! Our friends at 9th Level are launching their RPG Kickstarter of KOBOLDS ATE MY BABY! Check it out on Monday! 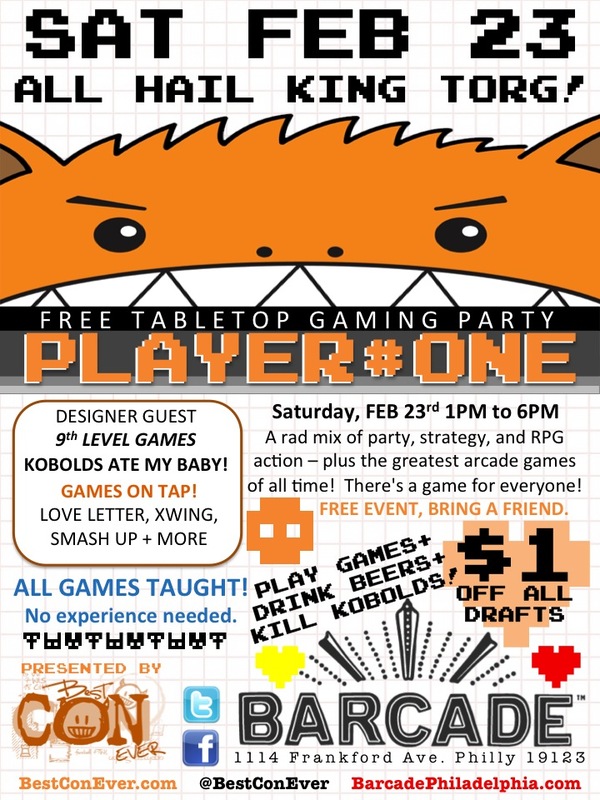 PLAYER#ONE Kobolds Ate My Barcade!! !